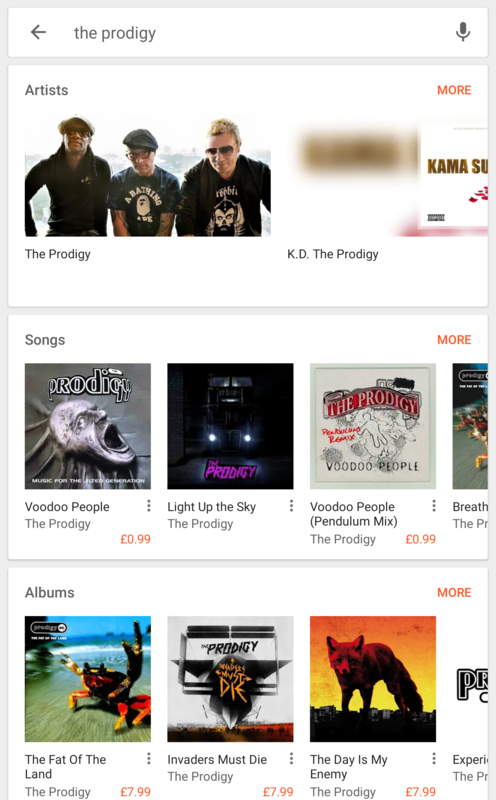 It's time for it's own thread since the release is imminent especially after google music just added it to the Prodigy's page (thanks to Evans for the pic). Last edited by Electronic_Punk® on Tue Sep 25, 2018 4:16 pm, edited 1 time in total. A track of 3:19 duration on No Tourists has just appeared on Apple Music too. Finally it looks like we're about to have something, the waiting and checking back here so often this month and seeing nothing has been doing my head in. Was hoping something was gonna be released at the beginning of the month. 3:19... Damn. The full lenght tracks are way shorter than the radio/single edits back in the days. I really miss the 5.30 lenght tracks. Interesting how the need some1 remixes are longer yet works perfectly. Quite interesting how Luts is after need some1, like Their Law. Glad to know they are propably gonna release a second single this ”early”. The duration of Track 2 is on most of the digital No Tourists pre-order sites now. Google being the only one with the title so far. Not yet but most likely in the next few days. Some Amazon sites also just added the title. Yeah, they probably preparing field for the next week release. Hope soon for a preview. Hoping this time around the video for the single will include the band. 28 september is singiel LUTS real date or lie ? 28 september is single LUTS real date or lie ?